The Chef and Sommelier Imperial Steak Knives by Arc Cardinal lend a pleasing look to your table settings. 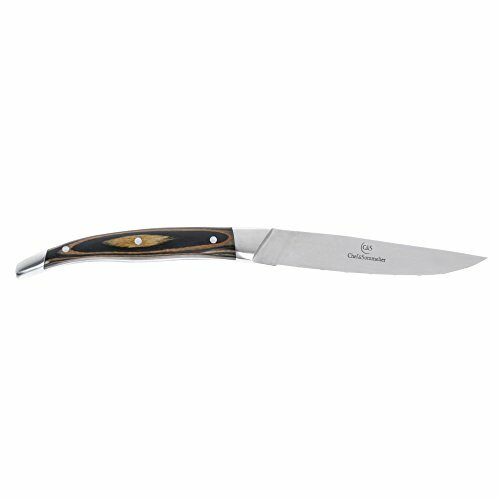 High quality knives are European inspired and feature richly figured grain textures. Crafted with precise weight and balance to offer the ideal selection for all needs. Warm brown pakkawood handles have an elegant hand feel. Wash by hand - machine dish washing not recommended. 4 1/4"L blade; 9 5/8"L overall. 12 per case. If you have any questions about this product by CARDINAL GLASSWARE, contact us by completing and submitting the form below. If you are looking for a specif part number, please include it with your message.